Hello everyone, how are you guys doing? I finally gottime to write an article after my examination. As usual, I’ll share some some interesting facts about the 20 teams in the Barclays Prmeier League. Manchester United – Manchester United have taken only six points from nine games against the other teams in the PL top seven this season. Perplexed. Manchester City – City have been shown red cards in consecutive Champions League games after not collecting any in their first 18 games in the competition. Punished. Everton – Everton have won none of their last 19 away games against Arsenal in all competitions (W0 D4 L15). Sticky. Liverpool – Daniel Sturridge has now scored in 20 of his 28 appearances for club and country this season. Consistent. Arsenal – Lukas Podolski has scored in both of his Champions League appearances against Bayern Munich. Lifeline. Chelsea – Eden Hazard has scored (22) or assisted (18) 40 Premier League goals since he joined Chelsea in 2012. Wizard. Tottenham – Emmanuel Adebayor has scored more goals than any other player in North London derby (10- 8 for Arsenal and 2 for Spurs). Quality. Cardiff City – Cardiff have kept only one clean sheet in their last 13 Premier League games. Porous. Newcastle United – Hatem Ben Arfa has scored in his 3 appearances against the Whites. Deliver. Fulham – Fulham are only the second team (after Man City) to concede more than twice in a match vs Cardiff in the Premier League this season. Open. Stoke City – Since Stoke reached the Premier League in 2008 they have picked up 22 red cards, level with Arsenal and second only to Sunderland (28). Off. Hull City – Hull have won just one of their last seven Premier League matches at home. Poor. Aston Villa – Aston Villa have not won back to back home matches since August 2011. Dream. Crystal Palace – Palace have scored just six goals in 13 Premier League away games this season, fewer than any other team in top tier. Blunder. Sunderland – Sunderland have not won four FA Cup matches in a row since they won the final in 1973. History. Norwich City – Norwich have lost all 10 Premier League away games in which they have trailed this season. Ill-discipline. Southampton – Jay Rodriguez has mastered the most headers on target of any Premier League player this season. Aspirin. Swansea – Swansea have won just four of their last 19 home matches in Premier League. Curse. West Ham – The Hammers have conceded just one goal and kept 3 clean sheets in their last four away outing. Lucky. West Brom – West Brom have scored own goals in three of the last five Premier League meetings with Manchester United. Suicide. Note: Figures and statistics were compiled from OptaJoe via Twitter and Football App via mobile prior to 14th of March. I am pretty sure all of you have came across famous football legendary players’ names such as Pele, Maradona, Charlton, Eusebio, Cruyff, Dalglish, Ronaldo and Beckham. On the other hand, have you guys ever heard of Asian Football Legends like Mokhtar Dahari, Ali Daei, Paulinho Alcantara and Soh Chin Aun? Here, I would like to share some information regarding the Asian Football Confederation with you guys. The Asian Football Confederation (AFC) is the governing body of Asian football and one of the six Confederations making up FIFA. It was formed in 1954 in Manila on the sidelines of the second Asian Games and sanctioned by FIFA in Berne, Switzerland on June 21 that year. The AFC is now headquartered in Kuala Lumpur, Malaysia. Shaikh Salman bin Ebrahim Al Khalifa of Bahrain is the AFC President and Dato’ Alex Soosay is the AFC General Secretary. The AFC is responsible for running football in Asia. 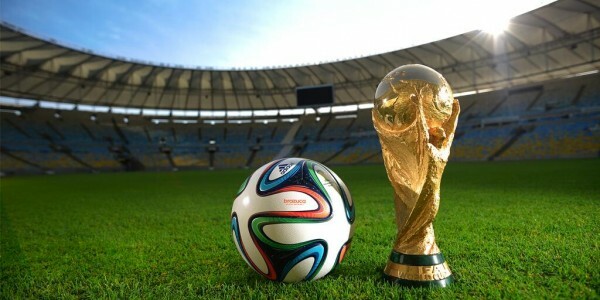 Among its various responsibilities are: regulating the game, drafting new laws to improve the sport, implementing the law, boosting grassroots and youth football, and conducting major competitions. West Asia which consists of Bahrain, Iraq, Iran, Jordan, Kuwait, Lebanon, Oman, Palestine, Qatar, Saudi Arabia, Syria, United Arab Emirates and Yemen. In the latest FIFA/Coca-Cola World Ranking as of today, Japan is the cream of the crop of Asia as they continue to top the list in the Asian Zone at 50th position, followed by Australia who lie 53rd while Republic of Korea came in at 61st rank. On an article regarding the Asian Football, Mark Schwarzer sees tremendous improvement in Asian Football over the last four years. An Australia international, Schwarzer is perhaps the most familiar of all Chelsea’s players with local football in the region, since his country began competing in the Asian Football Confederation in 2006. From my point of view, there are plenty room of improvement in terms of the development and prospect of Asian Football in the future. There is definitely no shortage of potential players in the AFC’s geographical region; the member nations making up more than half the population of the entire world! Just China and India alone the total populations exceed to more than 2.5 billion people. Magnificent, isn’t it? Asian football’s first moment of international pride came in 1912; when Philippine-born Paulino Alcantara joined Barcelona and went on to have an unbelievable scoring record of 374 goals from 375 games. The AFC’s first representative in the FIFA World Cup was Indonesia on 1938. Finally in 2002, after almost 50 years of hard work and progress by the AFC, it hosted its very own FIFA World Cup, in Korea and Japan. Football brings people together indeed. Football is an incredible game. Sometimes it’s so incredible, and it’s unbelievable. Thanks for reading. I hope you enjoyed it! Bonjour everyone! I have decided to write this article since I got some time to spare. Hope you guys like it. Happy reading and do share with us if you have encountered any football players with unique names below. Danny Drinkwater is an English footballer who plays for Leicester City. 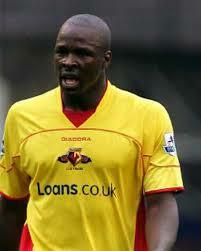 He has previously spent his time on loan at Huddersfield Town, Cardiff City, Watford, Barnsley. Besides that, he also played for Manchester United and has played in international games for England at under-18 and under-19 levels. Danny Shittu‘s inclusion will come as no surprise. The Nigerian has played at a number of English clubs. He’s a 33-year-old centre-back who now plays his trade at Milwall. 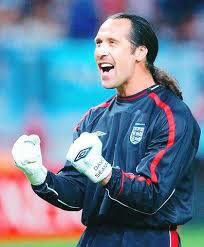 He began his career in 1991 and has also played for clubs like Queens Park Rangers, Bolton, and Watford. 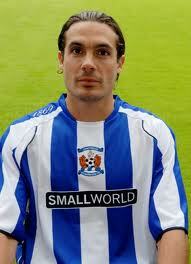 Danny Invincible is an attacking-midfielder of Italian and Australian descent. He is currently playing with Army United FC with 13 appearances and 3 goals. 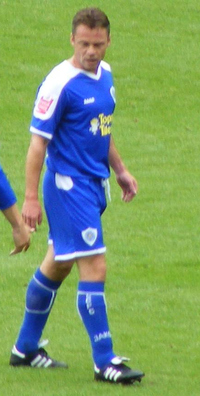 Mark de Man is a Belgian footballer who currently plays for Stade Bierbeek. He is most often deployed as a defensive midfielder but has also been used as a centre-back or right full-back. 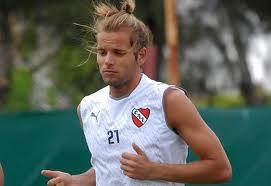 Fabian Assman is an Argentian goalkeeper playing for Independiente in the Primera B Nacional in Argentina currently. Paul Dickov is a Scottish former professional footballer. He is the current manager of Championship side Doncaster Rovers. The Scottish striker has played more than 400 professional games for the likes of Arsenal, Leicester City, Blackburn Rovers and Manchester City. 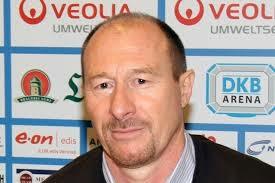 Wolfgang Wolf is a former player for FC Kaiserslautern and he is now a German football coach. Johnny Moustache is the former captain of the Seychelles football team. His favourite position is playing as a Striker. I’m back with the monthly article as usual. Let’s take a look at some interesting facts about the English Premier League teams for the month of February. Happy reading! Manchester United – David Moyes has now won none of 49 PL away games at the ‘Big Four’ (Arsenal, Chelsea, Liverpool & Man Utd) (W0 D19 L30). Block. Manchester City – Have not lost back to back Premier League home games since December 2008. Consistent. Everton – Leighton Baines has scored 19 goals since his Premier League debut. Talent. Liverpool – Luis Suarez has scored only four of Liverpool’s last 24 Premier League goals. Evolution. Arsenal – Mesut Özil has created more chances than any other player in Europe’s top five leagues in 2013-14 (66). Value. Chelsea – Have now gone seven Premier League games without conceding a first half goal. Robust. Tottenham – Emmanuel Adebayor has scored eight and assisted two more in 10 PL appearances under Tim Sherwood. Update. Cardiff City – Nine of Cardiff’s 19 goals this season have come from crosses – a league-high proportion (47%). Whipped. Newcastle United – Have now gone six hours and 10 minutes without a home goal in the Premier League. Decline. Fulham – One of the away teams who failed to score away at Newcastle in the Premier League this season have been London sides (alongside West Ham and Chelsea). Mugged. Stoke City – Have now gone 10 Premier League games without a clean sheet. Winded. Hull City – Have won just one of their last six Premier League home matches (W1 D2 L3). Poor. Aston Villa – Have had just three shots on target in their last four hours of Premier League football. Coy. Crystal Palace – Marouane Chamakh has scored five goals from just eight shots on target this season. Patience. Sunderland – The Black Cats have kept four clean sheets in their last six Premier League away matches. Solid. Norwich City – Have made 60 substitutions this season in the PL, but they are the only side yet to see one score or assist a goal. Blunt. Southampton – Jay Rodriguez has scored seven goals in his last eight Premier League appearances away from home. Travels. Swansea – Wilfried Bony has scored eight goals in the Premier League but none of them have come in England. Hipster. West Ham – Have kept three Premier League clean sheets in succession for the tenth time; they have never recorded four. Target. West Brom – Have seen 16 different players score a Premier League goal for them this season; more than any other side. Depth. Note: Figures and statistics were compiled from OptaJoe via Twitter and Football App via mobile prior to 14th of February.